UBSOUND is a 4-year old Italian audio company which was recently founded in the heart of Milan. 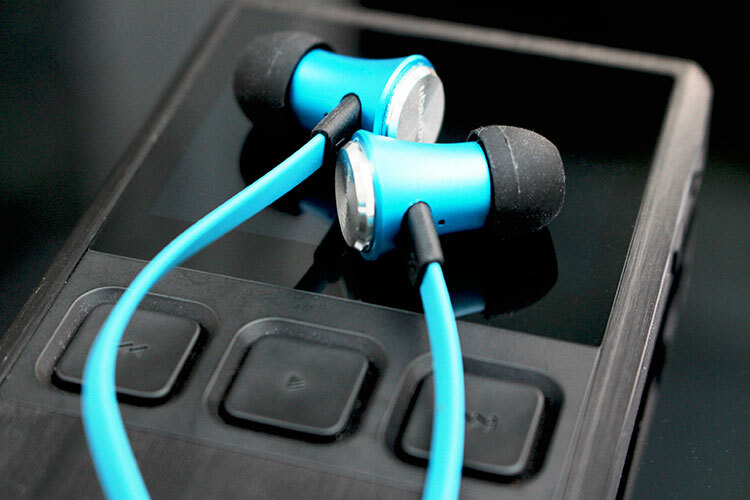 The company focuses its core business model on top quality earphones and headphones, which along with its business plan in early 2016, will include MP3 players and DAC devices. The Italian brand claims to invest most of their resources on research & development to better their house brand as well as providing a good synergy between style and sound engineering. Straight from their line of product, is the UBSOUND Fighter; a $49 IEM with high-performance 8mm independent dynamic drivers with a low purported maximum distortion rate. The Fighter has an aluminium body and is available in 4 colors: blue, red, black and white. Fighter comes in a standard packaging which is not too big a concern for an entry-level product. In terms of accessories, there are 3 sizes of single-flange silicone tips as well as a draw-string velvet carrying pouch and a set of instructions on how to operate the in-line remote of the headphones. The Fighter is a stylish looking IEM that certainly does fulfill the fashion criteria that this brand is trying to aim for. Build quality however is merely average. Perhaps there could have been stronger reinforcements on the back of the IEM to secure the panel into the housings of the device. The flat cables which are tangle-free seem to be good at the task that they were designed to perform well in and the connection to the 3.5mm gold-plated straight jack looks to have been well-implemented. 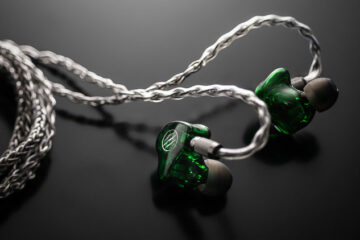 The back face plate of these IEMs utilizes a circular metal piece with the company’s logo embossed in white. 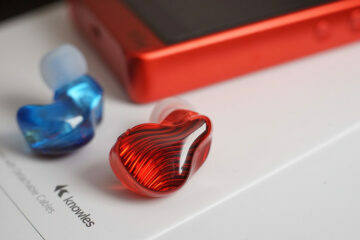 Owing to the rather large housings of the Fighter IEM, fit is not optimal. However, this has been aided by the rather shallow insertion of ear tips. Isolation is average and microphonics is quite distracting when the cable is in the worn down position. 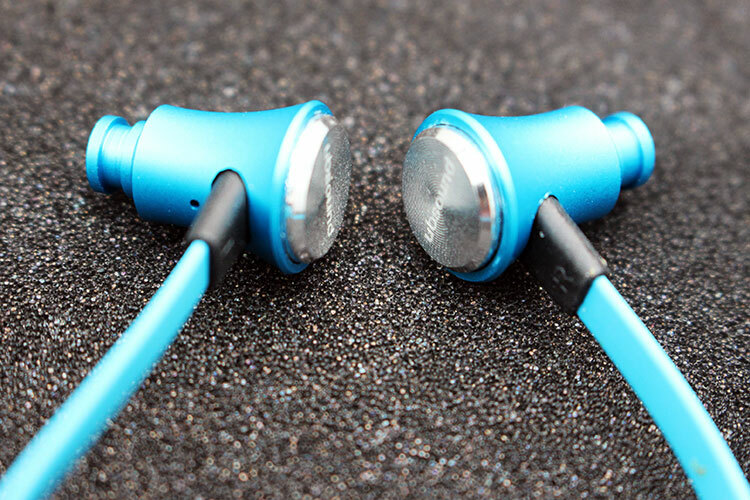 The UBSOUND Fighter has a bassy-heavy tuning that leans more towards the consumer-oriented sound profile. Weighty and full-bodied, sub-bass extends low with a somewhat boosted mid-bass presence. Whilst not the most articulate bass, there is some level of control to prevent the Fighter from sounding disproportionately boomy next to IEMs whose bass is more ill-defined. 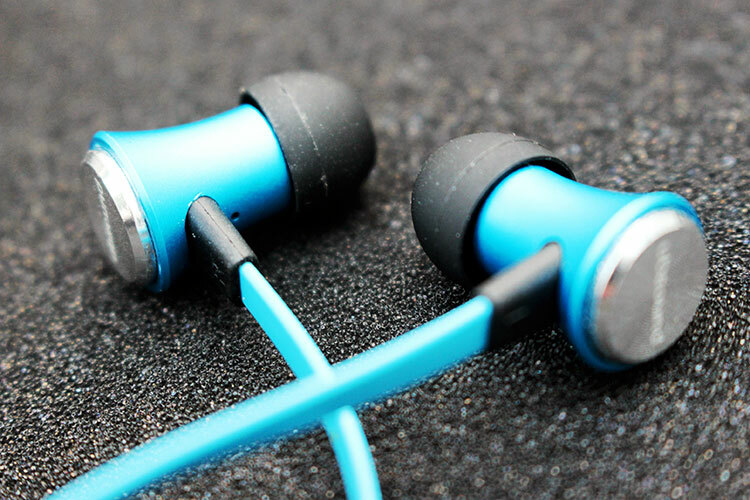 Bass slam, while good in and of itself, does not achieve quite the impact of the Beats series of earphones. Levels of bass are similar to the Sennheiser Momentum series with the latter having a better control and more alluring bass presence. Perhaps in starker contrast to this IEM’s low-end signature is the Vsonic VC1000 whose bass is tighter, cleaner and thus perceptively faster. Owing to the bass-dominant signature, the mid-range takes a backseat to the low frequency and treble sections. As a result, clarity levels are compromised although they are by no means below average. Secondly, vocals sound more open with a larger perceived soundstage than that of the Vsonic VC1000 and Bowers & Wilkins C5 series of in-ears. The signature here can be described as warm with good levels of smoothness that render sibilance and harshness obsolete. However, as a result of the v-shaped sound I often find myself turning up the volume to bring vocals closer to the forefront raising bass to distracting levels in the process. Next to the upper mid-range, the lower treble sits further forward in the overall mix in tracks. It is well extended although clarity levels are not the best because of the tuning. If anything could be improved here, it would certainly be to perhaps boost the lower treble even more to bring about a greater amount of perceived detail while retaining that smooth non-fatiguing tonality that is characteristic of the UBSOUND fighter. Despite this, this section does seem to have a bit more transparency than the rest giving needed height in the staging of sound. As previously mentioned, the soundstage of the Fighter is average with some sense of openness and staging owing to the distant mid-section. Instrument separation is merely average though with some congestion to be experienced in bass-led tracks. The UBSOUND is moderately efficient at 32 ohms and a sensitivity of 92dB. In terms of matching, they pair well with a wide variety of DACs and/or amps. An example of this is the Schiit Magni 2U & Modi 2U. This combination instills more openness and refinement to the UBSOUND Fighter sound at the low gain level. However, it is not really enough to lift the soundstage to above average levels. The signature still remains faithful to the original tuning but separation of instruments does slightly improve in what is a slightly detailed more sound. In the same light, the FiiO Q1 adds some extension to the treble of the Fighter making this region seem purportedly more airy and intelligible. The sound also becomes slightly thinner and more analytical. The bass boost function is not necessary here as the Fighter as there is already ample levels of bass. 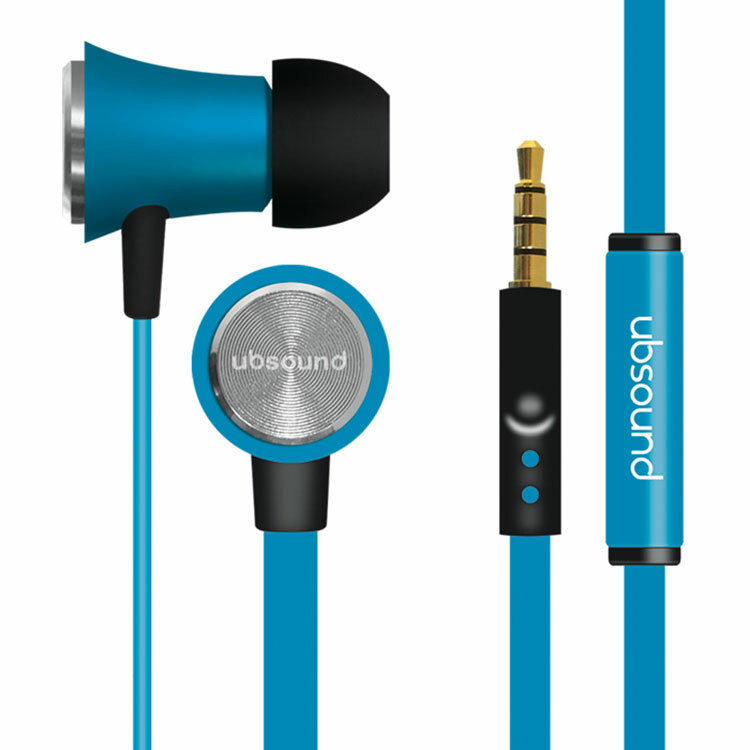 Overall then, UBSOUND have still yet to find a foothold in this already competitive headphone and IEM marketplace. Some traits are done well such as the Fighter’s smooth and weighted bass response. For example, the Fighter, while stylish, also needs to address the concern of build quality to make consumers happy that their product will last a long time. There is also the bonus of choosing your own particular color of IEM from a list of four which is something that not many IEM companies do. I appreciate that the company is continually striving for feedback on how to improve their product and hope they achieve successes once and for all in the very near future. Frequency range: 20Hz – 20.000Hz. Maximum distortion at max volume: <0,5%. Universal 3,5mm jack for Smartphones, Mp3 players, DAPs, DACs, computers and Tablets.